New research shows that 47 percent of high school seniors graduated last year with an "A" average -- up from about 39 percent in 1998. But average SAT scores fell 24 points in that same period. The authors of the study -- Michael Hurwitz of The College Board and Jason Lee of the University of Georgia -- said the trend signals grade inflation over the past two decades. Hurwitz told CBS News one of the goals of The College Board's research team is to highlight trends within education, and to equip college admissions professionals "with the best information" available. 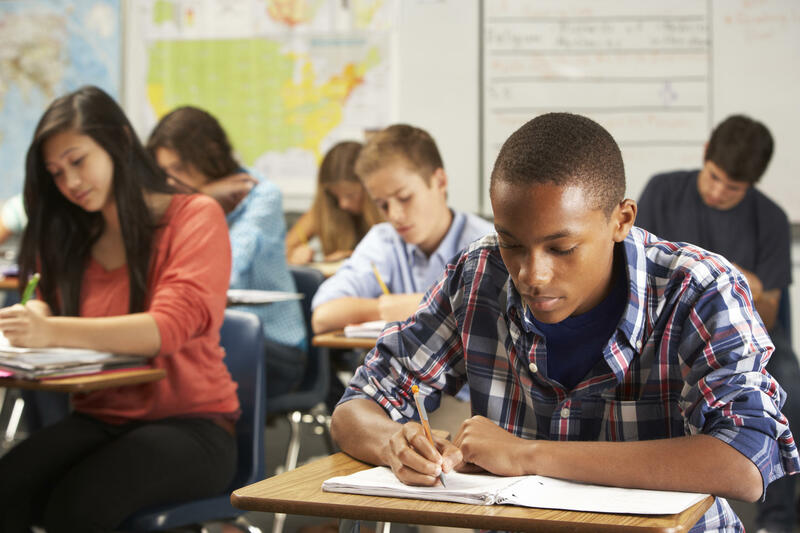 "Historically, what we find, is that the best predictors of college success is a combination of high school GPA and SAT scores, but one of the things we've been noticing is that high school GPAs are drifting up, and up, and up," Hurwitz said in a phone interview. With signs of grade inflation, students are more often earning the same exact GPA, making the job of college admissions officers more complicated. "The variation in GPAs have actually decreased by 10 percent," he says. The study also shows that the use of class rankings are rapidly disappearing from high schools. At the most competitive colleges, in the past decade or so, the percentage of students entering a class rank has decreased 20 percent, Hurwitz said. "We don't know exactly why, but we have some theories," Hurwitz said. "One of the metrics for ranking magazines, like, U.S. News & World Report, is the fraction of students in the top 10 percent or the top 25 percent of their classes, so there's an incentive for colleges to get those numbers high because there's a potential for the rankings to increase."